When you see your dentist for a routine dental exam, X-rays are a common part of your dental visit and are an important step in helping your dentist diagnose and treat dental issues. Nearly every dental patient has experienced sitting in the dental chair, clenching bitewings pads between their teeth and holding very still while several X-rays are taken. Today many dentists are using Cone Beam Tomography 3D X-rays for more superior dental X-ray results. 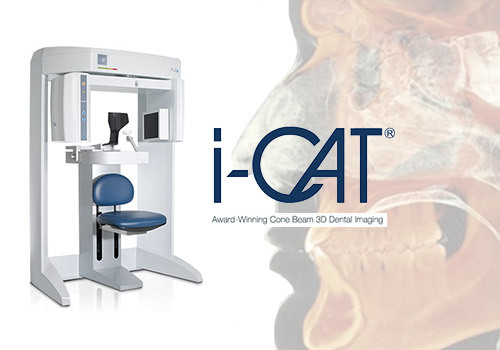 Cone Beam Tomography 3D X-rays combine technologically advanced CT Scanning with 3D imaging to give your dentist clearer and more detailed images than ever before. The Cone Beam Tomography 3D X-ray equipment is similar in design to a CT scan machine but in a much smaller size. While you sit comfortably in front of the 3D X-ray scanner, a rotating arm moves around your head while the digital X-ray is taken. The Cone Beam Tomography 3D X-ray is projected in a cone shaped beam which captures a complete 3D image of the anatomy of your skull. The 3D X-ray scan takes just seconds and within minutes the complete 3D X-ray image has been uploaded to your dentist’s computer and is ready for viewing. With today’s advanced technologies available right here in your dentist’s office using Cone Beam Tomography 3D X-rays, you and your dentist are better prepared to quickly assess, diagnosis, and plan treatment for your dental needs.